For Charles Dickens, each Christmas has been better than the last. But when his newest book is an utter flop, his publishers offer an ultimatum: either he writes a Christmas book in a month, or they will call in his debts, and he could lose everything. Grudgingly, he accepts, but with relatives hounding him for loans, his wife planning an excessively lavish holiday party, and jealous critics moving in for the kill, he is hardly feeling the Christmas spirit. Frazzled and filled with self-doubt, Dickens seeks solace and inspiration in London itself, his great palace of thinking. And on one of his long walks, in a once-beloved square, he meets a young woman who might be just the muse he needs. Over the next few weeks, Eleanor Lovejoy propels Dickens on a Scrooge-like journey that tests everything he believes about generosity, friendship, ambition—and Christmas. Reason I want to read this one: I love The Christmas Carol in just about all its forms and what a great idea for a re-telling than to cast the author in that re-telling? And don't you just love that cover? Reason I want to read this one: Just reading the synopsis of this one makes me want to read it right now. It sounds like the type of book I could lose myself in. Reason I want to read this one: I have been hearing great things about this book, and add to that the fact that I can't resist a historical mystery. Mr Dickens and his Carol really appeals to me. I love the original Charles Dickens version and the new version is definitely something I want to read. Lynn - I hope it turns out to be good. I am really looking forward to reading it. Thanks for stopping by! All three books sound really good, especially Mr. Dickens and his Carol! Eustacia - I think so too! I can't wait to read them. :-) Thanks for visiting. I'm excited about Mr. Dickens too, so much so that I'm planning to read that for the HoHoHo readathon next month. Suzanne - I hope we both end up loving it! It will be a perfect Christmas read. :-) Thanks for stopping by! Such a diverse bunch of recs!Elizabeth in City of Lies sounds amazing! Verushka - She does sound like a great heroine. :-) I'm eager to read all of these. Thanks for visiting! Jenclair - Hopefully it will be as good as it sounds! Thanks for visiting! Nina - Isn't it lovely? I hope to enjoy all of these. :-) Thanks for stopping by! I love Christmas novels and I just read a spin on A Christmas Carol last month (The Afterlife of Holly Chase) so Mr. Dickens and His Carol really appeals to me. Thanks for sharing about these books! Sara - I will have to look for The Afterlife of Holly Chase. I can't get enough of Christmas Carol like novels. :-) Thanks for visiting! Mr. Dickens and His Carol sounds perfect for the holiday season. I think the Dickens one will be a great one to read during Christmas. I have arcs of the other two and MUST make time to read them. Guess you can say I love all three of your choices! Barb - I think so too! I can't wait to read it. And the others too. Hopefully we will both enjoy them! Thanks for visiting! Mr. Dickens and His Carol sounds like such a cute story - how perfect for Christmas than to reimagine the inspiration behind such a beloved story. Angela - I think so too! I'm looking forward to reading it. :-) Thank you for stopping by! 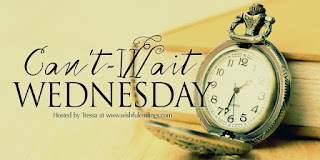 Oh, Wendy, you always have such AWESOME picks for your Wednesday post!! But you've really outdone yourself this week! "Mr. Dickens and His Carol" is a DEFINITE MUST for a Christmas addict like me! Lol. Plus, I, too, LOVE the original novel! And I agree that including a real-life author in a retelling of one of his works is BRILLIANT! And I LOVE the cover, too!! The second book you've picked sounds like a FABULOUS paranormal novel! I already like the main character. Heck, stopping storms would sure come in handy here in Florida! Lol. As for the third, it sounds SO intriguing! I LOVE historical fiction in which feisty women play an important role! And Elizabeth sounds like some sort of female Robin Hood. Plus, the cover is STUNNING, IMHO!! Maria - A Christmas Carol is one of my favorite Christmas stories, and I am excited to read Mr. Dickens and His Carol. I hope it turns out to be a good one. 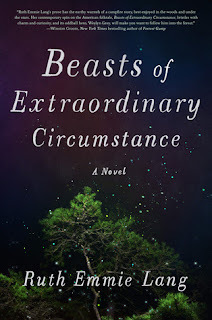 Beasts of Extraordinary Circumstance sounds like it might be a beautiful story. Not my typical fantasy read, but a good one nonetheless. I can't wait to meet Elizabeth. I have been hearing good things about City of Lies and am anxious to dive in. P.S. I already had "City of Lies" on my shelves. Lol. Maria - Hopefully we will both end up liking City of Lies! The cover of Mr. Dickens and His Carol grabbed me immediately!! I was halfway scrolling last night while watching an episode of Blacklist with my husband when it came scrolling by. I love A Christmas Carol and everything about it. I can't wait to get my hands on Mr. Dickens and His Carol!! Peppermint - Isn't it just gorgeous? A Christmas Carol is one of my favorite Christmas stories. I'm eager to read Mr. Dickens and His Carol. Hopefully we will both enjoy it! Thanks for visiting! Lark - I think so too! I can't wait to read it. :-) Thanks for stopping by! City of Lies seems such an interesting novel. Happy readings! Tânia - It sounds really good, doesn't it? Thanks for stopping by! Oooh! I like the sound of Mr. Dickens and his Carol! Great picks! Ronyell - I do too! I can't wait to read it. Thanks for visiting! City of Lies is high up on my list. I've been a big fan of Victoria Thompson's gaslight mystery series so I can't wait to see what she comes up with this one. Iliana - I have yet to read her gaslight mystery series, but it's one I keep telling myself I will try one day. I figure I might as well start with City of Lies to get my feet wet with her writing. Thanks for stopping by! I want to read Mr. Dickens, I love A Christmas Carol too. Ellen - It's a great story and a true classic. Thanks for visiting! 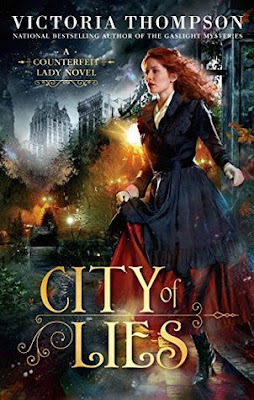 I have City of Lies and I'm super excited about it! It looks fantastic. 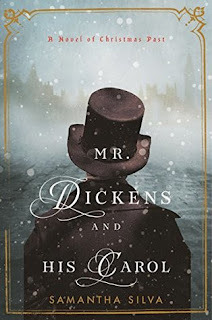 Mr. Dickens and his Carol is another one on my TBR. I just love the concept so much I can't resist it. Katherine - I can't wait to dive into that one either! I hope we enjoy both of them. :-) Thanks for stopping by! The cover of the Dickens novel looks really beautiful. I only know the movies about his Carol, but never read them as a book. Maybe I should. Thanks for sharing. Enjoy. Vi - I just love that cover. I hope some day you get a chance to read Dicken's A Christmas Carol. I read it for the first time a few years ago and fell in love. It's one of my favorite Christmas stories. Thanks for visiting! All of the books sound good, but I'm especially intrigued about Beasts of Extraordinary Circumstance. Hopefully I'd be able to find a library copy. Melody - Doesn't that sound like a good one? I think so too. I am really curious about it. I hope you are able to find a copy! Thanks for visiting, Melody!